Welcome to 889! We inspire happy, healthy, peaceful lives. We are here to help you get as much out of this life as possible, that you prioritize self-care, self-love and that you can connect with your inner-peace. We recognize the importance of unplugging from the busy external world and allowing yourself time to grow your practice, and internally focus. 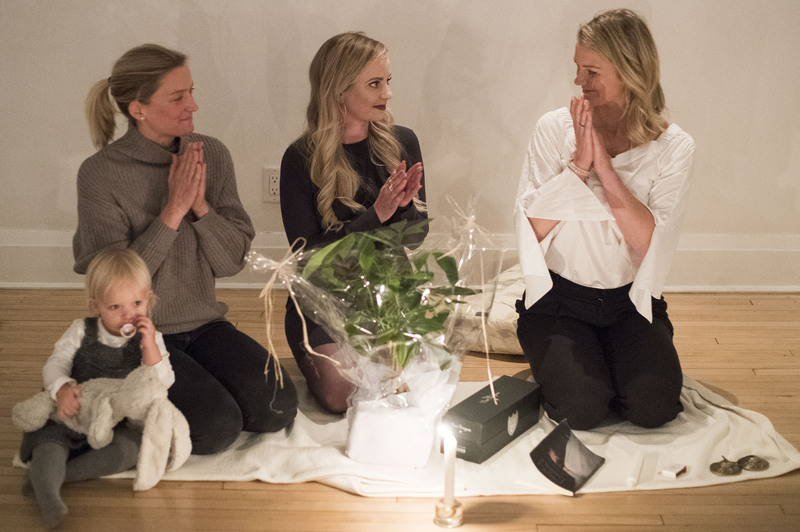 Our teachers are such an important part of our vision, they guide you in classes allowing you to connect to yourself and the community. There is a need for more love and connection, and this is what 889 stands for. The 889 experience is positive, peaceful and supports overall physical and emotional wellbeing every day. 889 was co-founded by two sisters, Emily Ridout and Christine Russell in 2007. They built a pillar for our community to grow and thrive. In 2017 889 was lovingly passed onto Signy Gissurardottir as she took ownership. Signy has been dedicated to the vitality and community of 889 since 2015. Signy was originally introduced to the studio by a close friend, Michelle, who was working as a Happiness Team member at the time. Signy joined her where they were co-workers for a couple years at the front desk. Currently, Michelle teaches at 889 and you can find Signy managing the studio day-to-day and greeting guests with her little dog Mia! We welcome everyone into our fully inclusive space and community. We believe that everyone deserves a deeply caring access point to attain a healthier lifestyle. We are committed to creating a diverse and inclusive culture. We believe in meeting where you’re at on your journey – we have classes for everyone, from beginners to advanced students in our world-class facility. Classes we offer include, Yoga, Pilates, Meditation and Barre. To support you in where you’re at and desire to grow, we offer our 200 hour Yoga Teacher Training program twice a year. Our late 1800’s Victorian home has been mindfully designed with the intention of preserving its historic heritage and integrating modern elements of eco and calm-inspired lifestyle design. We are proud to operate in a toxin-free and plant filled space. Our values extend to the carefully curated 889 Shop. In the Shop you can find our favorite props to support your at-home practice, as well as clean and organic self-care products, active wear, and unique gifts. We’re mindful of supporting small, local businesses, especially those run by strong women like ourselves! Our 889 family is here to welcome and support you through your journey with us.